After completely unloading WindowBlinds, the explorer window comes to normal. There have been problems with the 1809 update and WindowBlinds. StarDock is aware and is currently fixing the problem. Stay tuned. A Fix is in the works and will be released soon. Thanks for the comments, I will wait for an update/fix. EDIT: If helpful to debug/track the issue, the bug was caused by WindowBlinds 10.71 beta. I read a comment of a user in other post who is affirming that version 10.65 works fine in this new Windows 10 1809, but I didn't tested that version. I did not found your posting on that thread. Did you posted under different name there? Or could you at least restate the issue you are facing. Sorry I think I didn't understood what do you mean. I didn't published any post in that thread, I started this thread to ask about the specific bug I'm having. When you ask me to restate the issue I'm facing, it means the issue description I gave is not clear enough?. Then could you please specify what thing exactly is not enough clear? (to try give a better description from my side). 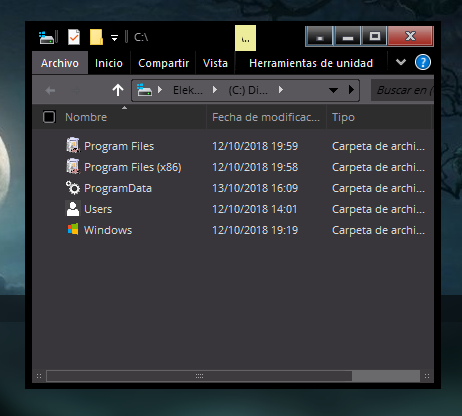 See, the problem is just that after any theme is applied in Windowblinds, the entire bottom "pane" (the region I drawn in the red rectangle) of any current and new opened explorer windows it just disappear. I require to unload Windowblinds to restore that bottom "pane". I discovered this problem when testing WindowBlinds 10.71 beta under a fresh Windows 10 1809 (10.0.17763.1) x64 Home Edition in a virtual machine with VMWare Workstation 15.x. Ah.. Okay, sorry I misunderstood you. As mentioned previously, the Dev team is working on it now. And I have tested that initial new version. And look like almost all known problems are solved including your status bar issue. Microsoft Windows 10 v1809 17763.1 is not a stable release. To determine your version of Windows 10, press the Windows Key + R, and enter "winver" and click OK. If you are currently running version 17763.1, you may wish to update to version 17763.55 for stability. To update your version of Windows 10 1809, download and manually update with KB4465477 first, then download and manually update with KB4464330 second. To manually update, simply double click on the .msu file. If you are running a 32-bit version of windows, then download the Windows 10 x86 updates. If you are running a 64-bit version of windows, then download the Windows 10 x64 updates. Be sure to pick the right files! Update at your own risk. I have updated all my machines without incident. In what meaning it is not stable?, I think the ISO should be a stable release since I downloaded the ISO through the Microsoft's Windows Media Creation Tool. 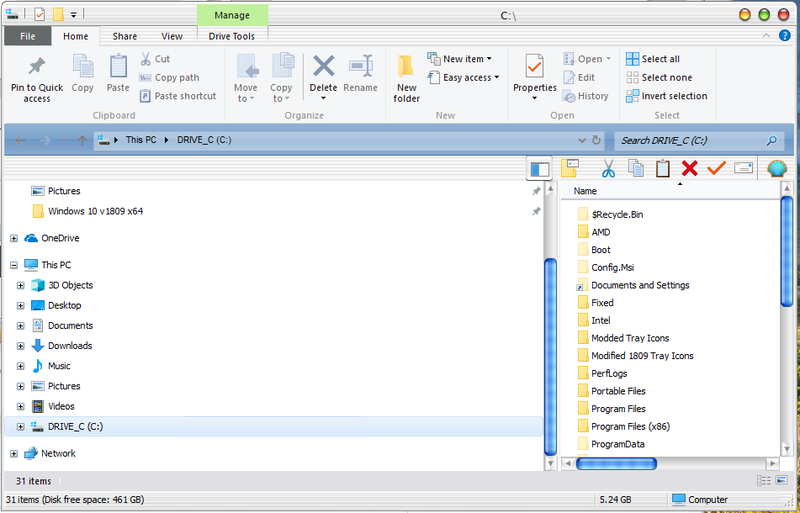 When I published my thread, I ensured which version I'm using by using the ver.exe command-line app. The version you suggested can be downloaded trough that tool, or is yet no available to download with that tool?, or only downloading/applying manual updates?. If you use the media creation tool to download an ISO of Window 10, you will probably get version 17763.1. Some Microsoft servers are still distributing this version as an ISO. 17763.1 has issues and will delete files, user profiles, and sound drivers on some computers. It depends on the type of Windows you are running before you install the upgrade. To the best of my knowledge you cannot download any other version of Windows 10 v1809 17763.1 in ISO form at this time. Microsoft released a couple of updates to bring 17763.1 to 17763.55. These updates correct previous issues in 17763.1. So you can get the 17763.1 ISO, install it at your own risk, and then download the updates. The other option is to get the ISO and "slipstream" it so that it becomes a version 17763.55 ISO. That is what I did. But a discussion of "slipstreaming" is beyond the scope of this forum. Thank you @r_pinkard, I have installed version 17763.1 in a V.M. and, while WindowBlinds does not work with this new Windows version, I'm not going to use version 17763.1 as my host OS. I just will wait until I can get the ISO that you suggested (and after ensured WindowBlinds works fine) and then I will replace my host OS. I'm currently using v17763.55 as a host for 3 Oracle Virtualbox VMs: XP, Windows 7, and Windows 10. Windowblinds 10.65 works fine if you ignore a few things about it. The problem is that it doesn't skin Apps correctly. The min, max and exit buttons are all goofed up. Windowblinds skins "program interfaces" great, but not the apps (including Edge). But then, I don't use apps. I don't believe apps belong in Windows anyway, they are OK on phones, but not in Windows. Going from programs to apps is kind of like going from crayons to pens. Everything looks big and childlike in apps. For example, I hate the calculator app. It's rediculous looking. So I put the old Windows 7 calculator back into Windows 10. It works great. Plus, I hate the photoviewer app. So I put the Windows 7 photoviewer back into Windows 10. The photoviewer is tricky to put back in (an extensive registry hack). I haven't installed the 10.72 beta yet. Let me know if you have tested it. 10.72 Windowblinds works as it should on 1809. Edge is movable and the buttons work. As for the photoviewer that one is easy. Go here and in the middle of the page is a .reg code. Copy it as a text file and name the file photoviewer.reg. It puts the Win 7 and 8 photoviewer back. I've done it and saved the .reg file so I can restore it. Edit: I am using v17763.55 of Windows. Everything is totally F*U*B*A*R on Insider 18262!!! The down side of the insider program a lot of programs won't work with it and companies won't update their programs until the final version comes out. What's the sense of having the insider program when Microsoft doesn't listen to their customers? People complained about problems with the last update and they still rolled it out anyway. Insider releases are alphas and betas. Sometimes beta means broken. I am currently running Windows 10 v1809 17763.104. The Windowblinds v10.73 beta is working great with it. Even the apps are skinning now. I can't really complain, because I've imported a lot of Windows XP msstyles into Windowblinds format and it's probably a bit unfair to expect these imports to skin all the stuff in Windowblinds 10. But a lot of styles simply vanished from the XP era. Here are a few imports. It looks like that build of Windows has a serious bug in how it draws certain types of windows. Hopefully Microsoft fix their issue in the next update. We would never recommend anyone uses the Insider builds if they may need to have a functional PC. I'll be Captain Obvious here. Captain Obvious says: "Don't install and run insider builds because they are betas. And......wait for it...BETA MEANS BROKEN!" Hey guys, these days since the first comment of @r_pinkard I'm wringing my head to try to find out how can I manage to have an ISO of the Windows 10 v17763.55 (or higher version, if we are talking about a higher stable one). The thing is that I need it in ISO/ESD format to load the WIM image and personalize the entire OS with NTLite software.Is not an option for me to install the updates manually after O.S. image personalization, since I will remove unnecessary components from the ISO, like Windows Update. Having the Windows 10 v17763.1 I can manage to install the update kb4465477 through NTLite, but I can't install update kb4464330, I don't know why, but NTLite deny the installation saying that update is not compatible with the current loaded O.S. So, I still have not find the way out to have an ISO of the Windows 10 v17763.55. And I noticed the Windows Media Creation Tool has rollback the available version to download to the April Update, remember that I've used that tool to download the Windows 10 October Update v17763.1 days before I published this thread in Stardock forum, but now using the tool it downloads the April Update. Then my petition is, If someone of you know a source to download the ISO, could you please share it with me?. A very important thing: I need the ISO in Spanish of Spain (es-ES) language. Preferably the Home Edition, or Home Single Language. Or maybe could you estimate when the v17763.55 could be available to download with the Windows Media Creation Tool?. MS should just leave well enough alone and leave themeing to the professionals! You gotta add just about every app to the ignore list, or open everything with Ctrl+, for anything to function!!! Somehow, I answered Elektro Studios post in the wrong thread! I'm wondering how that was even possible? So I'm re-posting here in the right thread. To slipstream Windows, first make sure that you have the right ISO. I do NOT recommend that you use the Media Creation Tool to get an ISO. You can legally download an ISO by going to heidoc.net and downloading the"Windows ISO Downloader" tool. To the best of my knowledge, you can run the tool and legally download the appropriate ISO for your language (i.e. spanish or es-ES) and for your type of platform (i.e x86=32-bit, x64=64-bit). Next, download KB4465477 and KB4464330 updates from the Microsoft Catalog. Plug in each knowledge base number and search for the update. I am presuming that you can get ES-es updates. If not, then you may have to download the english ones. Only use .msu files with the NTLite slipstream program. 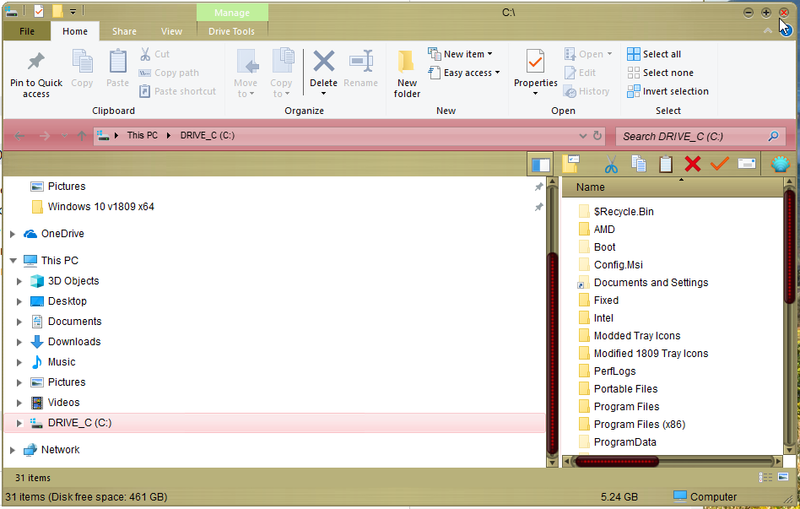 When you start NTLite, it will analyze the ISO and show you all the versions of Windows on the ISO. Just pick the type of Windows (home, pro, etc.) that you want to modify. Don't hack out Windows Update. You can disable Windows Auto Updating after Windows is installed. Just put the two .msu updates in a folder and point NTLite to that folder. 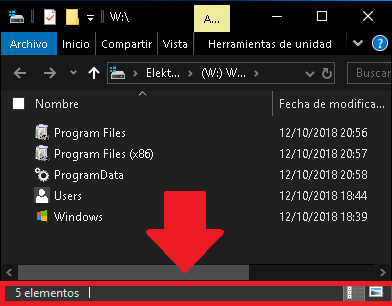 Save your final iso to a unique name like "Windows 10 v1809 17763-55.iso". NTLite will take awhile to make the ISO. To clarify: I'm the user "pitoloko", I just updated my nickname and user profile info. Many thanks again for your time explaining things. 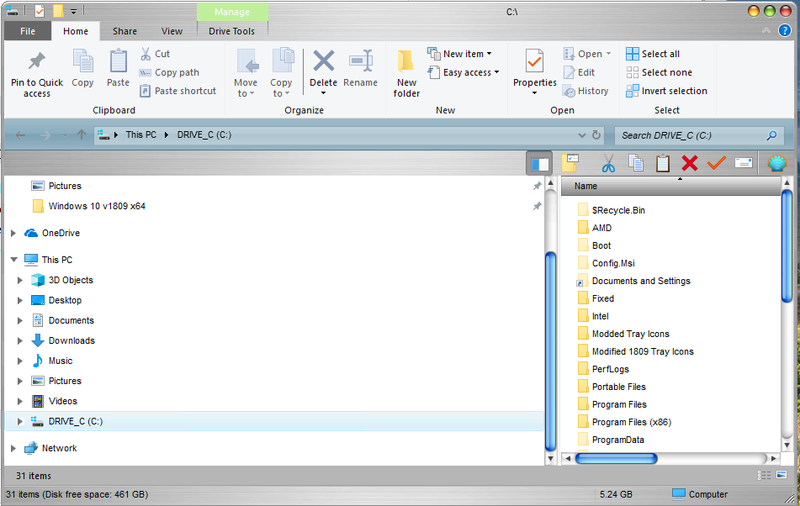 Your comment also helped me to discovered a very good program (the Windows ISO Downloader tool). 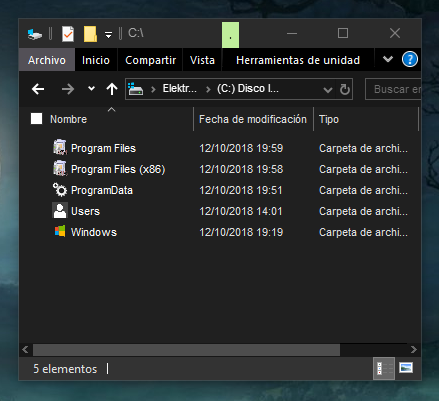 I know this could be interpreted as an off-topic, but on the other side the search of Windows 10 v17763.55 is also to solve problems and test WindowBlinds there, I mean, to have a stable OS on which use WindowBlinds and maximize its compatibility, I hope moderators could see my point of view about this. Well, I finally opted to do a natural (not trimmed/personalized) installation of Windows 10 v17763.1 in a V.M, I then installed both updates, and with DISM I captured the virtual O.S generating a Install.wim image with the updates applied, I moved the Install.wim to my host OS and replaced it with the original Install.wim contained in the v17763.1 ISO; and I loaded it in NTLite, so now I have an ISO of v17763.55 on which I can make any changes with safety using NTLite. Come on StarDock fix the windows apps not skinning properly!